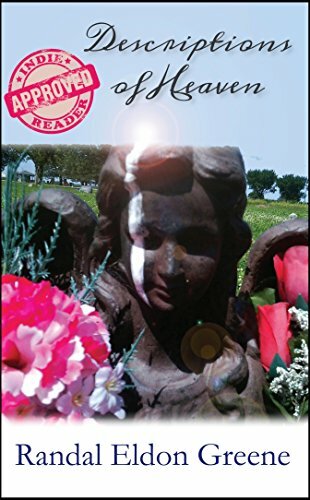 One of my favorite novellas takes place on the road to accepting a fate, and this novella, Descriptions of Heaven by Randal Eldon Greene, follows a similar theme with a far different path. If I were to describe this story in one sentence, it would be this: The story is a long poem where prose and theme exceed, in significance, a character or their primary plot. And, no, that’s not a bad thing. The book is different in many ways, the most obvious of which is the way it’s written. Don’t let the name fool you; this is not a story of faith. It’s actually not even a story about heaven. It’s a story about a man of words, Robert, who must accept his wife’s terminal fate. Meanwhile, stories of a lake monster bring people to his “backyard” and their son has a temporary distraction from the reality he’s living in. It’s a story of acceptance that leads the reader along a narrow but definite path. This isn’t a story for a reader with a small vocabulary, either. The main character is a linguist, and it shows in the variety of words used throughout the 129 pages of turmoil, love, and internal debate. He fights with the pain in many moments throughout this story. He sees her death in small things that remind him that she’ll soon be gone. It creates an image of the pain some might feel in this time, and it allows us to empathize with something few can. Although the main character, Robert, doesn’t seem to believe in God, he offers several descriptions of heaven, as do others in the story. Several times, heaven is mentioned as empty or still, and sometimes other descriptions are offered. The death of a loved one is a powerful thread in the tapestry of this story, and it’s driving. Although finding a place to stop in this book wasn’t difficult, the length of it prevented it from being discouraging or boring. It’s a book that must be read with the desire to see the ordinary transform. Images are poetry in a novelist’s prose. Emotions are felt through metaphors and the scene itself—internal battles that end with short moments of dialogue. The engaging part isn’t how the conflict or solution comes about; it’s the in between. How does a family survive through such a time? How does anyone comprehend the emotions they feel? Descriptions of Heaven tries to explain this through beautiful words, and the prose brings to life the simple things we normally take for granted. Words like reified, cyclical, and simulacrum are few of the terms chosen by the narrator, who seems to worship the English language (since he doesn’t worship any god, as he makes known). While this is a secondary fact, it’s prominent through the syntax and diction, and it’s a little vague when others speak because everyone in this story has a larger vocabulary than most people I know. This contributes to the idea I had in the beginning that led me to believe the characters weren’t meant to shine as much as the prose or the theme. What I liked about that is that I could appreciate the foundation of the story itself. What I didn’t like is that I didn’t have a realistic feel to the story because everything was so elaborately explained with such little dialogue that I felt like I was in a dream most of the time. The two together made it okay, though. I accepted it for the prose it was written to be. The cover of the book has what looks like an angel statue with what I think is bird poop. I’m not sure what the purpose was behind it; it could simply be what’s near the gravestone. I looked for the symbol in the story but never found it. Instead, I felt the power in the relationship between Robert and his wife. I felt it in their son, and I felt it in their family. There weren’t any heavy symbols—though there were a few temporary ones like dead sympathy flowers and walls hidden in their home and a myth of a lake monster in their backyard. The theme resonates throughout this story with enough power that it drives it to the end, and it’s only then that you realize why you were reading in the first place. What I liked: Word choice, powerful theme, flow of the story, execution of events—especially the lake monster and the artistic moments—and the character’s constant inquiries about death, heaven, etc. because they showed his absolute love for his wife. I also loved the small moments he had with her and their son because that contributed a lot to the story. What I didn’t like: The lack of variation in individualism of the characters (the dialogue didn’t change much from character to character). I also wish there was more dialogue, but that might have changed the story. I wish I would have known more about the narrator (main character) because what I know is limited to his family, the English language, and his wife’s cancer.